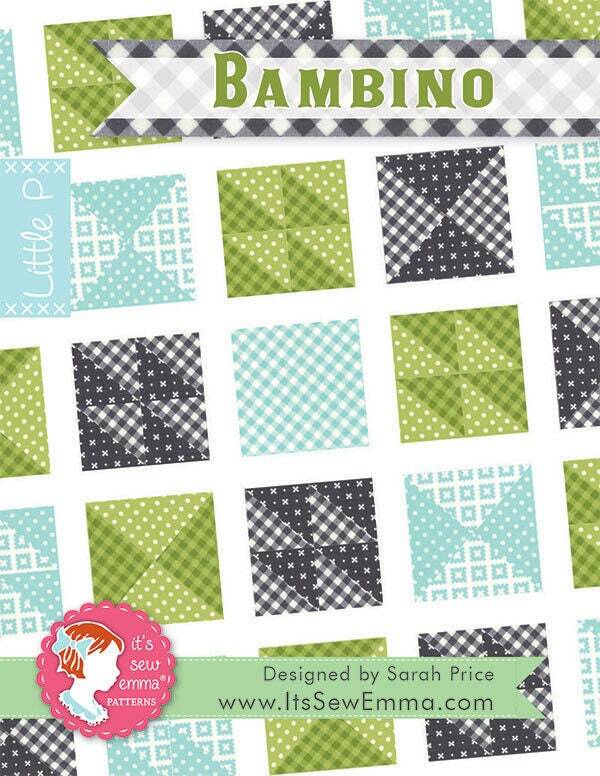 Bambino Quilt Pattern, from the Little P Series, hits all the right angles with geometric fun! 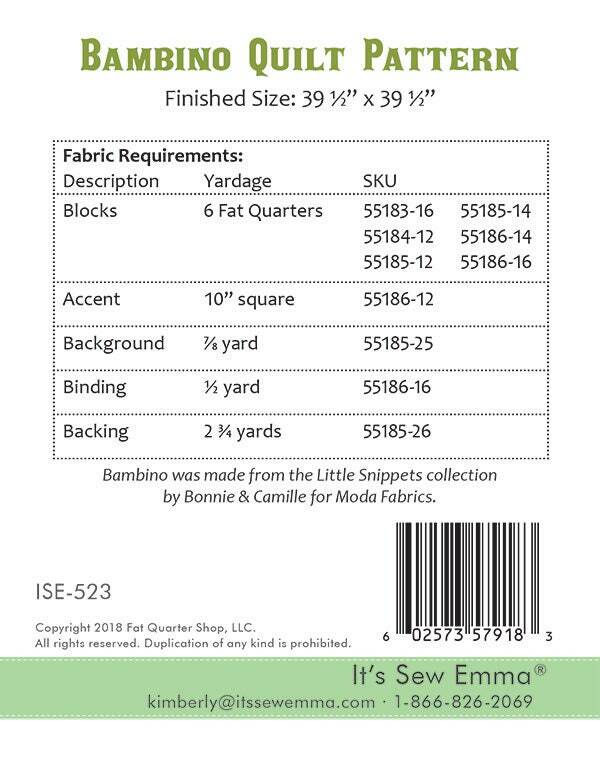 Select six fat quarters, an accent fabric and a background fabric for a fast and striking finish! Easy to make and easy on the eyes, this dapper crib quilt is certainly a keeper.